“Moonsplash is simple, with intimate performances in a natural setting,” says founder, Bankie Banx. “We don’t pick any particular genre – there’s folk, blues, reggae, some soul – just good music. It’s a magical thing”. 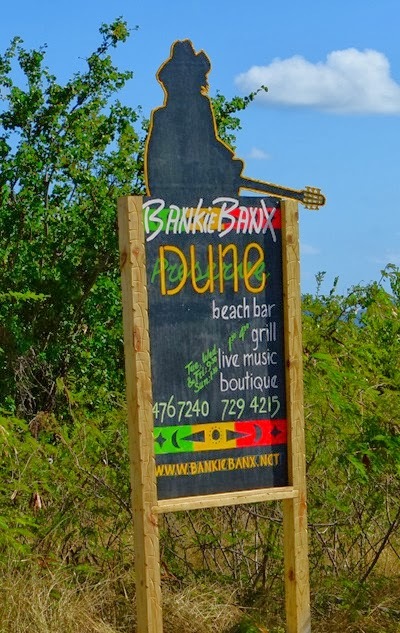 If you haven't been to Bankie Banx bar's at Dune Preserve in Anguilla, it's a funky little beachfront bar made from driftwood, seashells, and salvaged boats from shipwrecks. Now the bar's backdrop is a prime beach stip on the beautiful shores of Rendezvous Bay, with the luxury CuisinArt Resort on the left, and a world-class golf course on the right. What I've found throughout the Caribbean is the most unique, odd and dilapidated beach bars are the best spots to hang out. "Planet Dune" - as its called during Moonsplash - attracts people from around the globe. This annual infamous festival brings together a mix of people - Blues lovers, Rastafarian's, Rockers, Locals and Music/Party loving tourists. Past artists have included The Wailers, Toots and the Maytals, Gregory Isaacs, Tarrus Riley, Duane Stephenson, Steel Pulse, Third World, Inner Circle, Buju Banton, and Culture. And there have been a few surprise guests - Jimmy Buffett, John Mayer, the Bacon Brothers - and everyone is always eager to hear Reggae/Rocker Bankie perform. 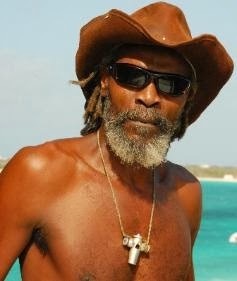 If you can't fit the annual Moonsplash festival into your travel plans, take note when visiting Anguilla there are monthly "full moon" parties at the Dune Preserve featuring live entertainment from Bankie and other Reggae performers.